I discovered this dip at a family get together a few months ago and it has been my go-to appetizer ever since. 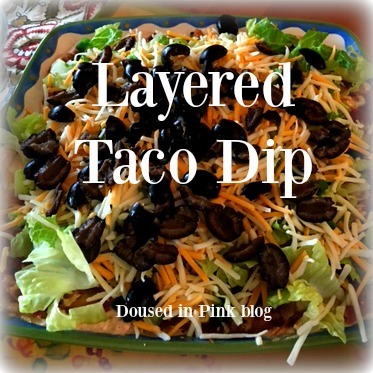 This colorful and festive dip is perfect for a party, girls night or even a snack. 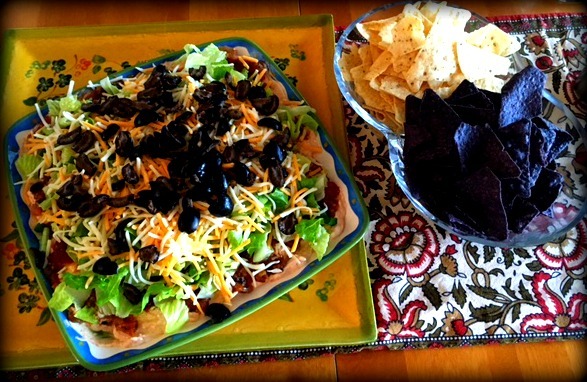 Everyone will want to dig into this tasty taco dip and it only takes five minutes to make! Mix the cream cheese, sour cream and taco seasoning together in a bowl. Once mixed, evenly spread onto a large plate or tray with a spatula. Layer the remaining ingredients in the order listed. What's your favorite go-to appetizer?